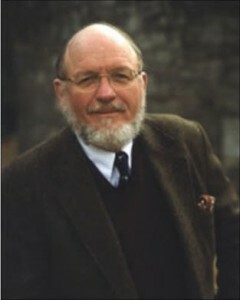 Lecture: "American Republicanism and the Human Scale of Political Order"
March 20, 2012 at 7:00 p.m. in Carrick Auditorium. Livingston, Donald W. "David Hume And The Conservative Tradition." Intercollegiate Review 44.2 (2009): 30-41. Web. 6 Mar. 2012. Livingston, Donald W. "The Southern Tradition And Limited Government." Modern Age 49.4 (2007): 452-462. Web. 6 Mar. 2012. Livingston, Donald W.. Philosophical melancholy and delirium : Hume's pathology of philosophy. Chicago : University of Chicago Press, 1998. Livingston, Donald W. "The Very Idea Of Secession." Society 35.5 (1998): 38-48. Web. 6 Mar. 2012. Livingston, Donald W. "Anscombe, Hume and Julius Caesar." Analysis 35.1 (Oct., 1974), 13-19. Web. 6 Mar. 2012. Livingston, Donald W. "Hume on Ultimate Causation." American Philosophical Quarterly 8.1 (Jan., 1971), 63-70. Web. 6 Mar. 2012. Terris, Ben. "Secretive Scholars Of The Old South." Chronicle Of Higher Education 56.16 (2009): A8-A9. Web. 6 Mar. 2012.